Marbella bus station on Avenida Trapiche. 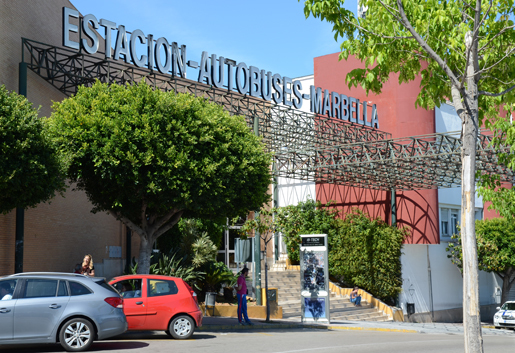 The Marbella bus station is located a km inland from the centre of the town on the north side of the A-7 ( old N-340) coast road at one of the intersections. (See map below). The local buses pass through the town centre befroe terminating at the bus station. The long distance coaches only stop at the bus station. Get from Malaga airport to Marbella for only 66€. Book now at MalagaTransfer.co.uk and get a 10% discount on round trip transfers. Avanza / Portillo operate a direct non stop coach service from Malaga Airport to Marbella bus station. Journey time is 45 mins. Tickets can be purchased online or purchased at the kiosk outside Malaga airport arrivals hall or at the Marbella bus station ticket kiosk. Luggage is conveniently placed in the luggage compartment under the bus. In the winter the first bus from Marbella to the airport is at 07.15 hrs and the last bus from the Malaga Airport to Marbella is at 22.30 hrs. There is no later service from Malaga city bus station, if your plane does not arrive in time for the 22.30 bus from the airport you will need either book a transfer, take a taxi, or stay in a hotel near the airport of a hotel near Malaga Bus Station. In the summer there is usually a later bus around midnight. Coaches leave about every hour hour east to Fuengirola, Torremolinos, and Málaga (8.90 euros) and west to Estepona, and Algeciras. The first bus departs at about 06.30 and the last one about 22.00. There is a half-hourly stopping bus which runs to Puerto Banus San Pedro, and Estepona. This bus service terminates at the entrance to the Marina / Estepona port by the bullring. Stops are: Estepona Port, Old Bus Station (on Avenida de España by Plaza ABC), Paseo Maritimo (Avenida de España near Calle de la Teraza), Plaza Ortiz, Palacio de Congresos (for the Bus Station), McDonald's, El Padron, El Gastor, El Velerin, Selwo Adventura, Bahondilla Alta, Parque Atena, Venta los Niños, Gran Hotel Playabella, Flamingos Golf, Hotel Santa Marta, El Pilar, Indalar, Guadalmina, Terminal San Pedro, Cortijo Blanco, Restaurant El Roberto, Playa del Duque, Puerto Banus, Hotel Melia Dinamar, Hotel Coral Beach, Restaurant Tony Roma's, Cruce Istan, Puente Romano, El Vicario, La Carolina, Montebello, Porcelanosa Marbella, Marbella Centro, Marbell Center, El Punto, Ricardo Soriano, Redes Club, Estacion Servicio Centro Comercial La Cañada, Marbella Bus Station. See Timetable which only gives times at Estepona and Marbella Bus Station. Calculate intermediate times on this basis; Busses to Marbella call at Selwo Adventura 21 mins after Estepona departure, San Pedro 40 mins after Estepona departure, Ricardo Soriano Marbella 1 hr after Estepona departure. Busses to Estepona call at Ricardo Soriano Marbella 15 mins after Marbella departure, San Pedro 35 mins after Marbella departure, Selwo Adventura 54 mins after Marbella departure. There is a half-hourly stopping bus which runs to Fuengirola. 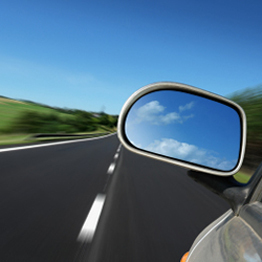 Stops are: Terminal Fuengirola, Policía Nacional, El Castillo, Faro de Calaburra, Playa Marina, La Farola, El Chaparral, El Oasis, La Cala de Mijas, Cala Azul, Torrenueva, Miraflores, Garu Calahonda, Las Postas, Camping Los Jarales, Sitio de Calahonda, Leila Playa, El Camino, Camping Cabopino, Artola, La Reserva de Marbella, Miniature Golf, Hacienda Las Chapas, Camping Marbella Playa, Pino Golf, Elviria, La Vibora, Residencia Tiempo Libre, Hotel Marbella Playa, Viveros Costabella, Los Alicates, Urb Los Alicates and El Rosario, Colegio Las Chapas, Urb. El Rosario, Los Monteros, Hospital Costa del Sol, Los Olivos, Incosol Hotel Spa, Muebles Cassasola, El Cable, Misubishi Mavesa, Honda Cotri, Sanamientos Puya, Avda Ricardo Soriano, Marbella Centro, Porcelanosa, Urb. La Concha, Marbella Bus Station. Local buses also operate on seven routes in Marbella plus a night bus. It costs €1,18 for a single journey and tickets are purchased from the driver on board the bus. Travelcards are also available priced at €1,20 and are sold already charged with €5 (€6,20 total). These cards can then be topped up with 5 to 500 euros in Marbella Bus Station, in the ticket office at San Pedro Alcántara or on all Servicio Urbano de Transporte buses. A monthly card is also available priced at €36 per month for unlimited travel on Servicio de Transporte Urbano de Marbella buses. It is personalised with your name and a photograph and can be recharged in Marbella Bus Station or at San Pedro Alcántara ticket office. Follow the link below for timetables of all routes. Alsa operate two or three buses a day from Algeciras to Barcelona. Departing Algeciras at 10.15, 18.45 and 22.30 hrs and departing Barcelona at 12.00 and 18.00 hrs. It is an 18 hour journey! Here is a typical schedule departing Algeciras 22.30 hrs, La Linea (one bus only) Estepona 23.45 hrs (one bus only), Marbella 00.05 hrs, Fuengirola (one bus only), Malaga 01.30 hrs, Granada 03.30 hrs, Guadix 04.15h, Velez-Rubio 05.30 hrs, Puerto Lumbreras 05.45 hrs, Lorca 06.10 hrs, Murcia 07.15 hrs, Elche 08.20 hrs, Alicante 08.50 hrs, Benidorm 09.40 hrs, Denia 10.50 hrs, Gandia 11.05 hrs, Valencia 12.30 hrs, Castellon 13.30 hrs, Tarragona 6.30 hrs, Villafrance de Pinedes 17.15hrs, Barcelona (Norte) 18.00hrs. Daibus-Interbus operates eight direct bus a day from Marbella to Madrid. Departing Marbella Bus Station at 06.20, 08.05, 10.30, 12.45, 14.00, 16.30, 22.00, 22.40 hrs arriving at Madrid Estacion Sur after 7hrs 15 minutes. There are additional services in the summer. Here is a typical route departing Algeciras stopping at La Linea or Estepona or departing from Marbella stopping at Fuengirola, Toremolinos, Malaga and Madrid.